What Type Of Car Is Geelong Cash For Cars Willing To Buy? Most car buyers are pretty fussy about what they buy. When you are selling your car, every buyer will want to have a look at it and they will ask plenty of questions about the make, model, mileage, paperwork and the condition of the car. This is a completely natural response. After all, even you will want to know these things if you are buying a car. Everyone wants as much for their old cars as they can possibly get. So when you consider selling your old car to Geelong Cash for Cars you are likely wondering what type of cars we are willing to buy from you. Well, the truth is that we are willing to buy any car from you right now at this very moment because at Geelong Cash for Cars we truly accept it all. Do you want to sell a Holden, Ford, Toyota, HSV, Elfin, Iveco, Mack, Nota, Mitsubishi, Mercedez, Kia, Suzuki, Audi, Jeep, Lexus, Peugeot, Volvo, Land Rover, Renault, Chrysler, Daihatsu, Porsche, Range Rover, Daewoo, Alfa Romeo or some other brand? We will buy it all because at Geelong Cash for Cars without a fuss. Are you trying to sell an old car from the early ’90s or is your vehicle relatively new and from the 2000s? Well, don’t worry we will buy your car no matter how old or new it may be. Our company is willing to pay up to $6000 for your old or newish car irrespective of model. Do you have a rare car on your hands or is your car one of those common types that you see on the roads every time you drive? We will take it. We buy both rare and common types of vehicles with great pleasure. At Geelong Cash for Cars, we have a use for any type of vehicle. It doesn’t matter if you have a car, sedan, truck, ute, motorcycle, commercial vehicle, van, minibus, combi, bus, scooter, 4X4, SUV, truck or utility van. We are happy to take anything bigger than your lawnmower off your hands. Worried that you might not get a broken-down car sold? Well, your worries will end with Geelong Cash for Cars. We will buy your car no matter what condition it might be in. We will take it in running condition, bombed and even completely scrapped. We can even come to your Geelong location and will pick it up for you for free if it is no longer in running condition. Do you have a car that is hardly worth calling a car? Is it all rusted, broken and totalled? We will take it. Our scrap car disposal company loves these types of junk cars because we recycle it for scrap metal so new products can be manufactured from your old rust bucket. Feeling relieved that we will take your car? Well, then what are you waiting for. Give us a call at Geelong Cash For Cars for an instant cash offer and we will be there in just a short while to pick it up for free. 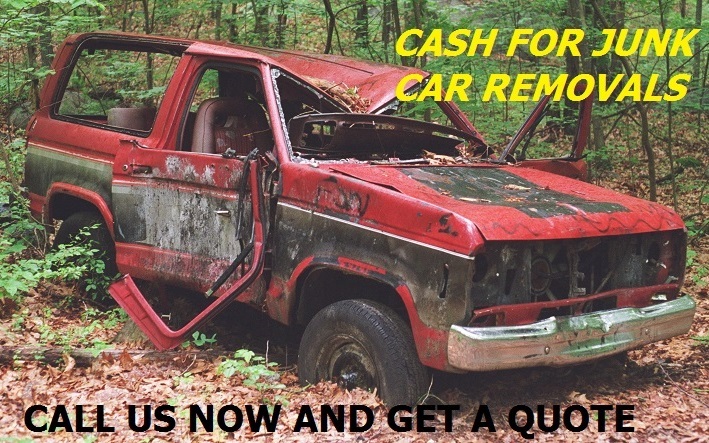 You will get your money on the spot as soon as our pickup teams can see the exact condition of the old car and you can do with your money as you please.